Here’s a more interactive way to learn about Straight for Equality and being an ally: Schedule a Learning Session! These learning sessions are a fun way to bring Straight for Equality to your workplace, faith group, PFLAG chapter, and community. What makes them so fun – and effective? 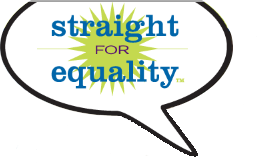 Straight for Equality learning sessions provide a high-energy, non-political, non-confrontational approach to taking on some challenging issues by focusing on discussions, not debates. They provide a unique addition to diversity and inclusion efforts that focus on empowering employees and emphasizing the role of straight allies in the effort to achieve equality for all. And our catalog is constantly under development, so keep checking back for new sessions. Let us help you map your journey to equality now – contact us today for more information by e-mailing info@straightforequality.org.